While meeting an old work colleague, @johnecapcom for a bit of a chin-wag and drawing session, I drew this enchanted dagger thing. Both of us picked an Inktober prompt (poison in this case) during the drawing session and went for it. 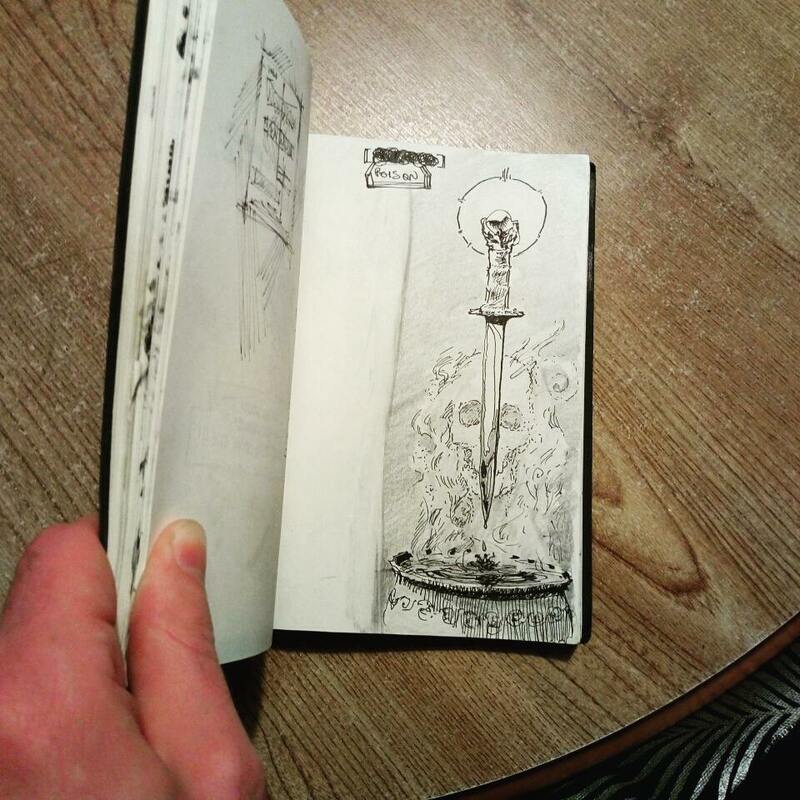 I drew this floating magic dagger with some mysterious liquid on it and in a jar beneath it. It’s magical I guess because it’s floating mid-air. Signifying the poison was a bit tricky, so I just made this kind of skull cloud/mist. Job. It’s fun to chat and join forces for some drawing, even if I do get a bit self-conscious from my sudden work-silence! Ye, I find that I just go completely quiet when I draw, or code, or play an instrument! I tend to get completely absorbed in tasks like that, especially when it’s a creative thing. Apparently *not everyone* is so single-track in this way and it often causes frustration in folks who want more out of me while I’m working! Usually headphones help to signify to others that my cogitator is chugging and whirring away at something and they leave me at it, as you do.